Unique beads are always on the list for jewelry makers and this selection will offer them just that. 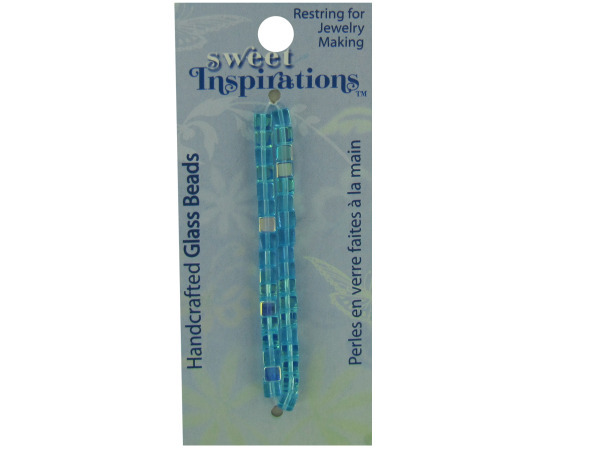 These square glass beads are small (1/2cm), but lovely in varying shades of turquoise. Each card includes 35 glass beads and two cards are included in this pack.